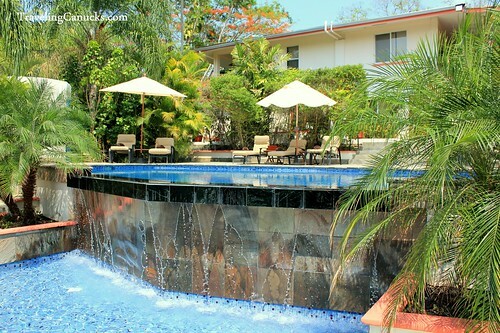 Having just returned to San Ignacio, Belize after spending a few nights exploring the ancient temples of Tikal in Guatemala, our travels through Central America lead us to the popular Ka’ana Boutique Resort. Located in the heart of the lush Cayo District, Ka’ana offers its guests a slice of luxury while they explore the region’s popular attractions. The resort is only a short 10 minute drive from the town of San Ignacio and the Guatemala-Belize border crossing, making it easily accessible for travelers coming from either direction. 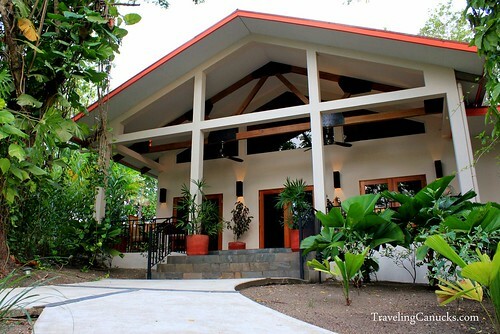 Ka’ana Boutique Resort knows who their guests are and caterers to them perfectly. It is clear that the staff pays meticulous attention to the details, the subtle things that separate the ordinary from the extraordinary. Upon arrival, we were greeted with a delicious lime and ginger beverage that was prepared with handpicked ingredients from the resort’s organic garden. 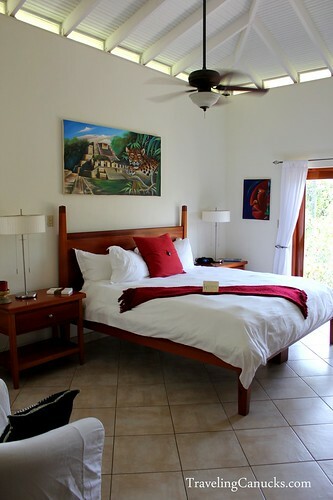 We then entered our air-conditioned room and found a personalized handwritten welcome card and freshly cut flowers from the gardens displayed all over our pristine Casita. It was a very nice touch that set the right tone. All rooms have spacious balconies with private hammocks, an espresso maker for peaceful morning coffee and an evening treat with turn down service before bed. With only 15 superbly appointed Casitas and Balam rooms, we instantly felt the luxurious yet intimate atmosphere that Ka’ana has created with its boutique resort. 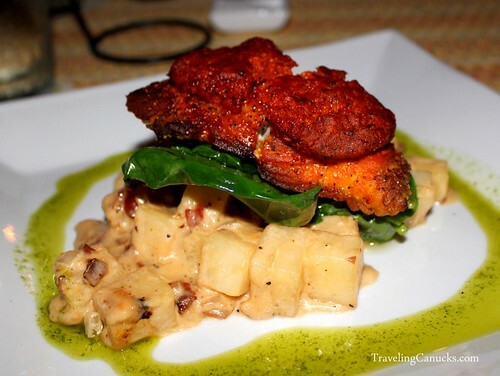 Integral to staying at Ka’ana is dining at the La Ceiba Restaurant, located in the main building of the resort. All freshly prepared drinks and meals combine traditional Belize culture with a modern flair and touch of sophistication. You can even ask to have dinner beside the pool or in the privacy of your suite! Seriously – how delicious does that plate look? It tasted even better! The chef and mixologist use only organic and local ingredients, many handpicked from the resort’s organic garden. Instead of the traditional Pina Colada, why not try the Sweet Corn Colada? 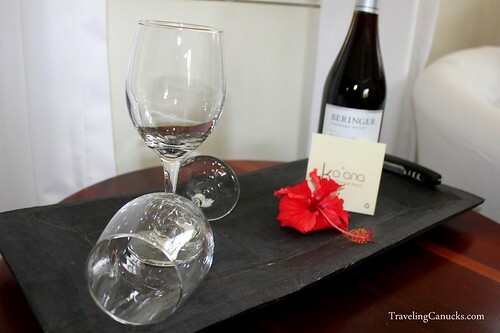 Ka’ana offers a customized experience for each guest. If unwinding is your style, the infinity pool is the perfect place to relax while watching the over 300 bird species found in the area. If you prefer more adventure, the resort is the optimal base for exploring the major attractions, with private tours easily organized by the resort. Guests are also able to split their time between Ka’ana Boutique Resort and its partner luxury resort Victoria House, located in San Pedro on Ambergris Caye. It became very clear to us that Ka’ana’s objective is to expose its guests to the best food, guides and experiences, sharing its love for Belize while not forgetting the subtle details. Connectivity. Complimentary Wi-Fi is available throughout the facility, a definite must for modern travelers with digital needs! Courtesy. Cameron had brushed up against a plant pot that rubbed red residue on his white shirt. We noticed this at dinner and upon returning to our room, a staff member collected the shirt and returned it clean the following morning! It was easy to see the extra thought was put into the details. It was the little things that made us feel welcome and very comfortable (and the king size bed and air-conditioning didn’t hurt either!). With limited time to spend in the Cayo District, we left Ka’ana Boutique Resort wanting more, which is always a good sign. I guess that just means we will have to return someday! Have you visited Belize? Care to share your favourite places to stay? So beautiful! 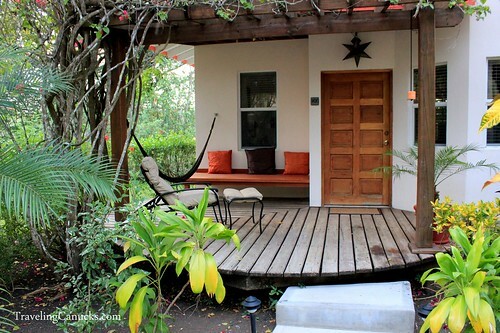 I am in the process of planning our Belize trip and this one is so on my list. We also stayed at Chaa Creek – stay tuned for upcoming posts! That food looks absolutely delicious, enough for me to rethink Belize! 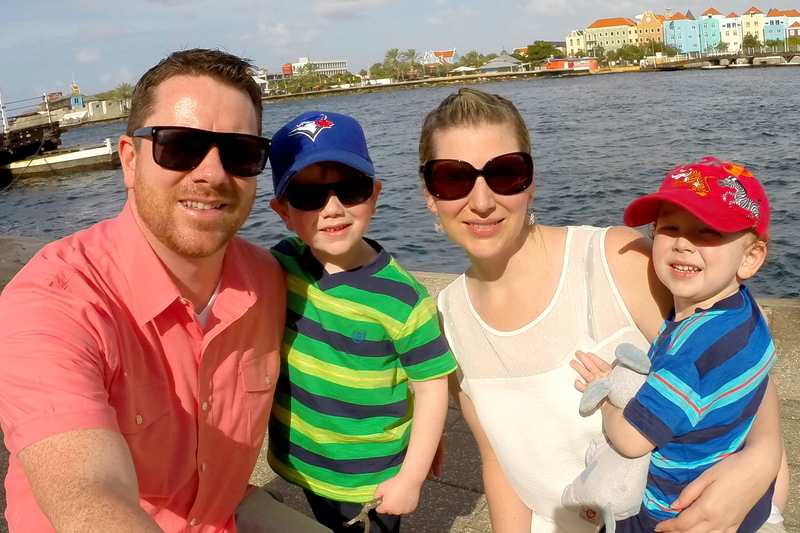 It has been our best meal in Belize so far. Dios mío, q bonita!! That just looks amazing. You had me at fresh lime and ginger drink 😉 I’m so bummed that we won’t be exploring the rest of Central America. This spot has made our list for a future visit. Belize is amazing and a must visit at some point. I think that Central America , is such a perfect and beautiful spot to find great vacation resort, aside from the food, the place looks elegant and I am sure that many tourist loves the service given by resort owners.